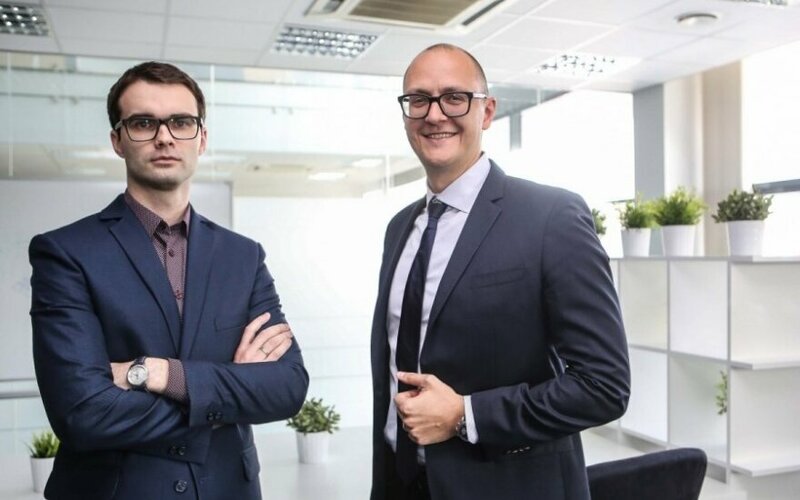 A group of American-Lithuanian entrepreneurs have opened two offices in Vilnius and Kaunas, saying the decision to base their company in Lithuania helps sign up new clients from the United States. 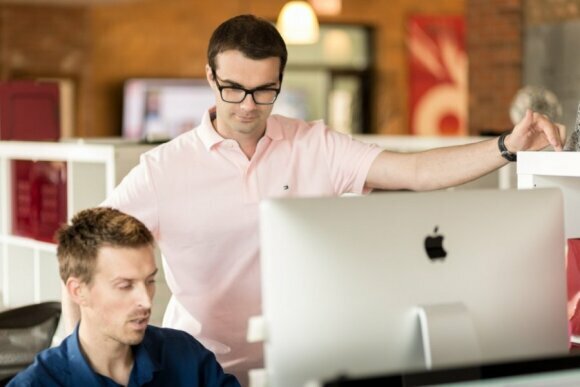 Devbridge Group, an IT solutions company in Chicago, was founded by five American-Lithuanians. The company's president Aurimas Adomavičius, who has been living in the US since the age of 12, says that when he and his partners were setting up the venture, little did they expect that most of its staff would one day be based in Lithuania. "We were five Lithuanians who worked in consulting in the US. We knew one another, so we connected and founded a company," he recalls. Two years later, the company in Chicago already employed 14 people. The beginning was no smooth sailing, no one of them had tried building a business before. Adomavičius says that their first employees were people they knew from the American-Lithuanian community, so Lithuanian and not English dominated in office meetings over the first several years. "Eventually several partners moved back to Lithuania and we decided to open an office in Kaunas, so they didn't have to work from home." The office in Kaunas was opened three years ago. What Adomavičius and his colleagues discovered was that it was much easier to recruit skilled programmers in Lithuania than in Chicago. "We realized that, strategically, it was worth offering design services, manage projects, sales and marketing from the US, but move engineering to Lithuania. Another factor in our favour was that Lithuanian engineers speak good English and have good work culture," says Adomavičius, who comes to Lithuania several times a year. At the moment, Devbridge Group employs 85 people in Kaunas, five in Vilnius and about 20 in Chicago. Adomavičius does not believe that foreign companies move their IT centres to Lithuania in search of cheaper labour. "Compared to the Philippines or India, it's not that cheap here. Prices are not at all low in IT. When we were deliberating whether to move to Lithuania, we mostly focused on the skill pool and quality work culture. When you work in the US market, quality trumps price." 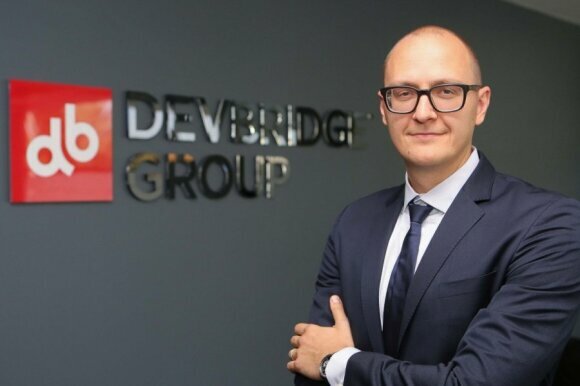 The Devbridge Group president is happy with the supply of talent in Lithuania. "Finding good specialists is always a challenge, since they are very few. We are always on a lookout and try to recruit the best ones," he says. The company plans to continue expanding in Lithuania and employ even more IT specialists. Next year, the plan is to hire 50 more people. Within two years, the total staff in both countries should reach 200. "We are planning expansion in both Kaunas and Vilnius. We haven't planned opening any other offices, but we are looking into other Eastern European countries, too, like Belarus and Ukraine," Adomavičius admits. Viktoras Gurgždys, Devbridge Group's Lithuania office chief, says the company has not considered bringing employees from Eastern Europe to Lithuania. "Programmers in Minsk earn more than in Vilnius, so there's little incentive for them to move here. As a business, we would fare better by moving there ourselves and adapting," he admits. Gurgždys says that Devridge Group is looking for IT specialists with 5-10 years of experience. Such people are often married and attached to their communities and therefore reluctant to move to a different country. Adomavičius adds, however, that his American clients are quite happy to make short business trips to Lithuania. Moreover, the company's offices in Lithuania are often used to sign up new clients. "Our Lithuanian office looks more impressive than the American one," he says. Between 2012 and 2014, Devbridge Group's revenue grew from USD 2.4m to 7.2m. The number of employees went up from 35 to over 100.